A restaurant reservation form is needed to reserve seats of a restaurant to celebrate a certain get together. This is a very common form when one makes a party plan regardless of the purpose. The applicant should fill up a restaurant reservation form. Prior booking of the seat is necessary to avoid any interruption in the plan so that it is better to ensure your plan. 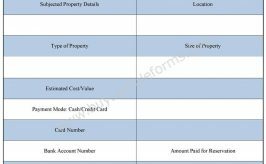 The form should give the details of the applicant’s requirements as to make a complete arrangement. 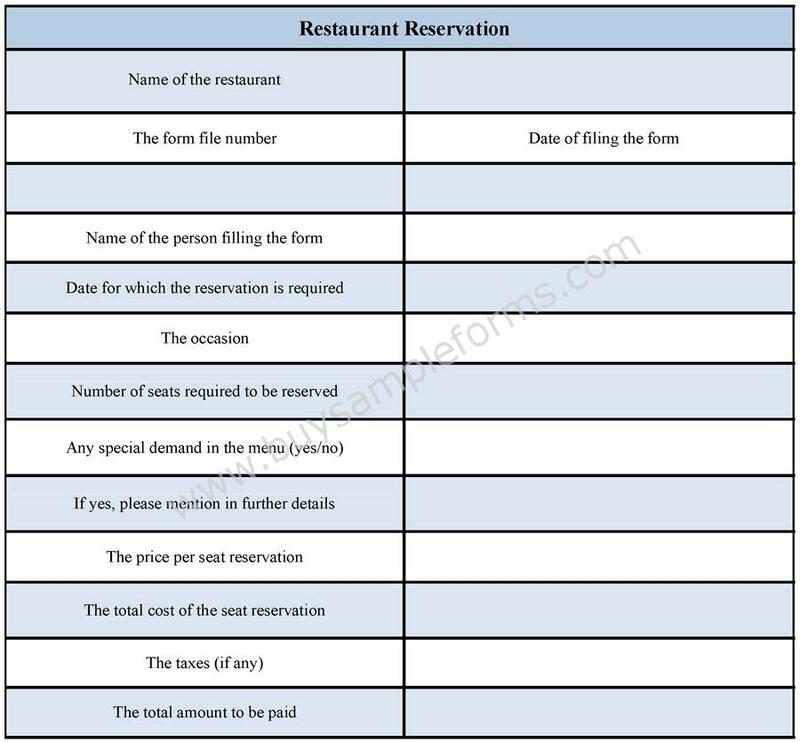 In the business field, restaurant reservation form is needed to book a place for the business meeting, so that the form should be handled with the important information. 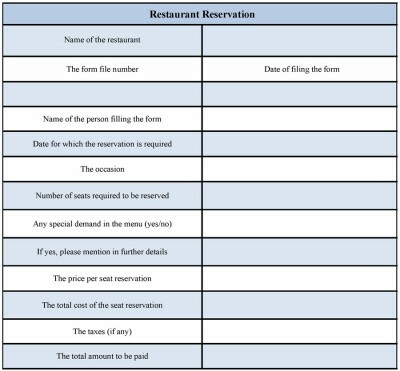 Sample reservation form contains information regarding the name of the restaurant, the applicant’s name and the personal details, the occasion, the date of reservation, number of seats, and the charges. 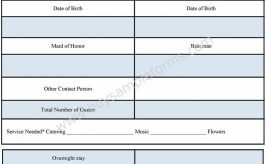 The template of the booking forms is available in both the PDF and word file. You can download and customize the format as per your use.